Hidden away in the mountains just outside St. Maries, Idaho is Crystal Lake. The clear water gathers at the top of a valley where boulder strewn ridges coalesce together and keep the lake secret on all sides but one. 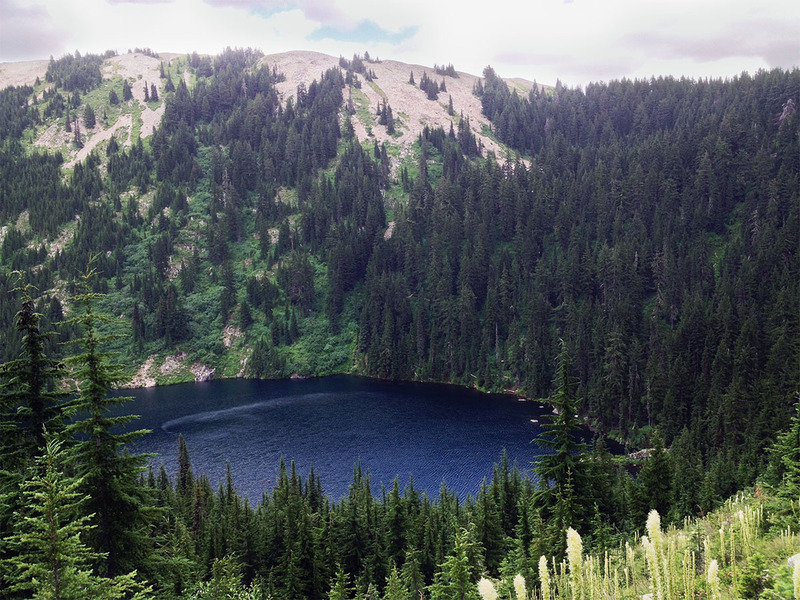 Getting into this mountain lake is a kind of choose your own adventure hike. Starting from just below the summit of nearby Mt. Baldy, hike straight up to the ridge tops where you’ll be afforded a view of the lake and valley, stretching out before you like a giant hippodrome. Farther down the valley you’ll find the true trailhead, and a path into the lake winding across slides of rock and giant boulders. Panoramic views of the valley below line the entirety of this trail. The trial here is short, only a few miles in length, but there is a lot of hiking to do in exploration of the lake itself, mountain forests and imposing ridges that make up the entirety of Crystal Lakes experience.